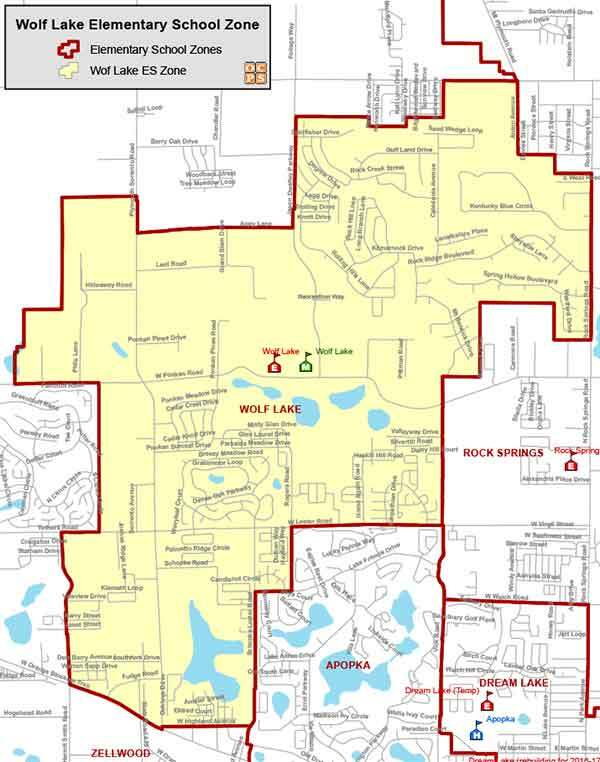 Searching for a home within the Wolf Lake Elementary School Zone? Then you are in the right place! We work hard to make your next home search easy and efficient, so that when you are ready to buy or sell, we are ready to help! Wolf Lake Elementary School History and Information: Wolf Lake Elementary opened in August of 2006 as a relief school for Rock Springs Elementary, Zellwood Elementary and Apopka Elementary. Principal Caroll Grimando has been at the school since its opening and most of the founding staff members remain today. Since its opening, the school has enjoyed tremendous academic success and become a source of pride in the Apopka Community!